NYC, 04/09/2019, 2:00PM. 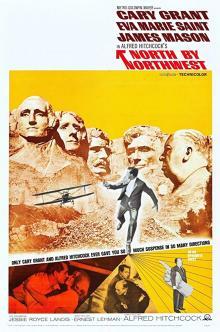 North by Northwest (1959): A Mistaken Identity Story By Alfred Hitchcock. 136 min. Director: Alfred Hitchcock. North by Northwest was nominated for three Academy Awards for Best Film Editing, Best Art Direction, and Best Original Screenplay at the 32nd Academy Awards ceremony. It was selected in 1995 for preservation in the National Film Registry by the United States Library of Congress as being "culturally, historically, or aesthetically significant".